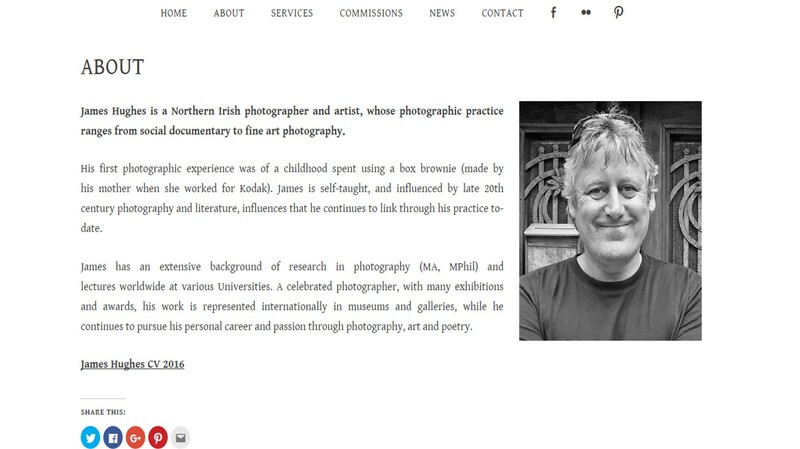 James Hughes is a Northern Irish photographer and artist, with over 30 years’ experience, and a wealth of collected material, who wanted a new website to showcase his wide variety of work, and to act as a single point-of-reference for his current and prospective clients. James was a pleasure to work with – he had a vision for how he wanted his website to look, and he required our services to make it happen. From the out-set, James was certain that he wanted a clean, uncluttered website, that would promote his photography services, print editions for sale, training and workshops, exhibitions, and also leave room for him to include literary works, as they develop. It was clear that James required a Portfolio style website, that would allow his images to jump off the screen, but also bring some structure to the wide variety of services he provides. James is active on social media, regularly updating Facebook, Pinterest, and Flickr with his latest photographs and goings-on, so it was important that those platforms were given an obvious location on his website – right in the main menu. As this is predominantly a photography website, it was obviously very important to ensure James’ imagery took pride of place. 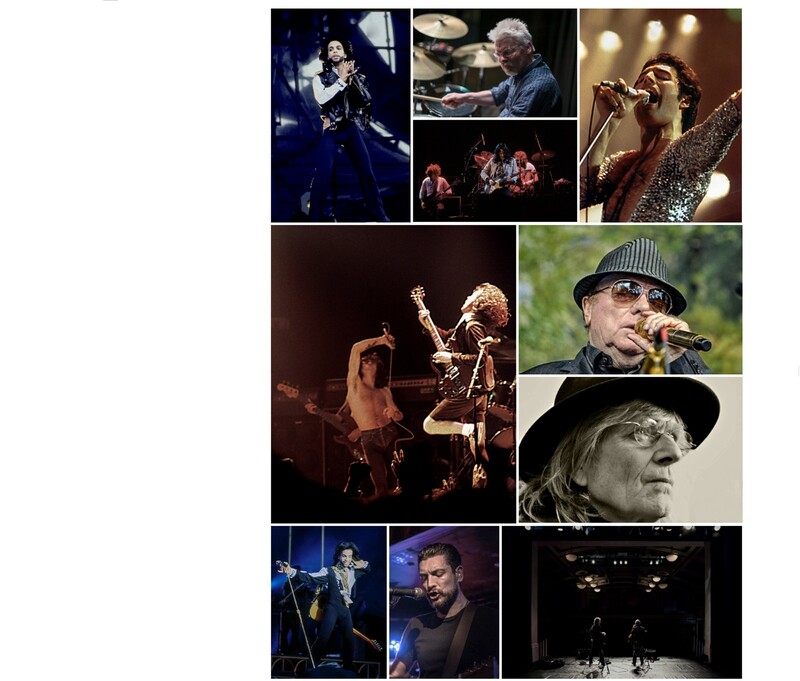 There are many sections of the website that showcase a selected number of James’ photographs in a variety of modern “mosaic-style” layouts. All of these are “click-able”, to allow for full screen size viewing of his work, with captions. Sections of James’ website include PDF digital downloads, and he also wanted a “hit counter” in the footer. There are a couple of minor adjustments to be made to the website before it is finalised, and some updated content is to be included in the News section. As part of our package, we’ve shown James how he can update this himself, but as he is very busy, there is also the option of us updating this for him, for a small additional fee.